Two types of cloud, one made by man, and the other made by nature. 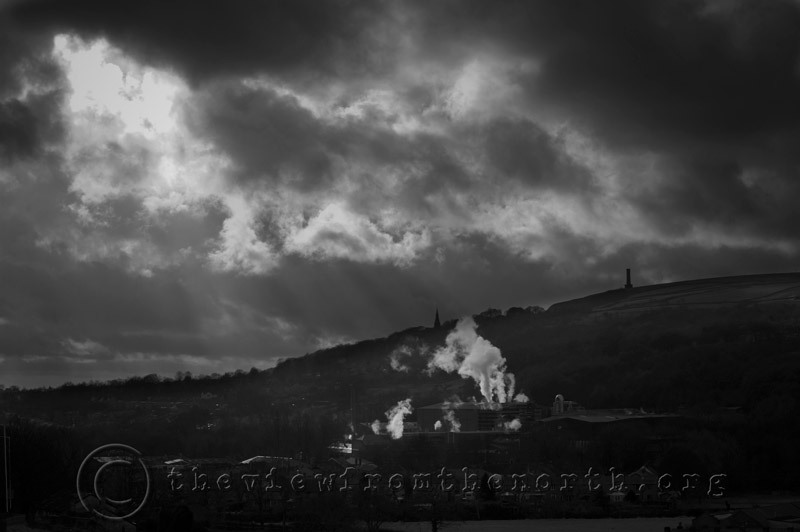 Taken in January, looking down on Ramsbottoms last paper mill, and one of just a handful left in Lancashire. The local paper industry has been decimated in the last ten years, with many mills closing for good. Not sure how long this place has got.